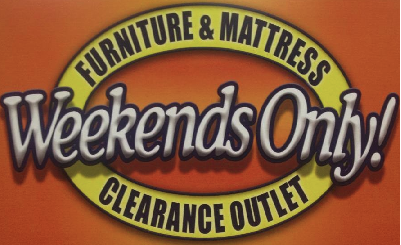 Fort Wayne, Indiana – An Indiana trademark lawyer for Weekends Only, Inc. of St. Louis, Missouri filed a trademark infringement lawsuit in the Northern District of Indiana alleging that AK Distribution LLC and KASH Subsidiaries, Inc. of Fort Wayne, Indiana, one or both of which does business as “Weekends Only Furniture & Mattress Clearance Outlet,” infringed the trademarks WEEKENDS ONLY and WEEKENDS ONLY FURNITURE OUTLET, U.S. Registration Numbers 2,669,149; 2,697,959; 2,834,336; and 2,891,146, which have been registered by the U.S. Trademark Office. In this federal lawsuit, Plaintiff alleges that Defendants AK Distribution LLC and KASH Subsidiaries, Inc. have used and continue to use confusingly similar versions of the WEEKENDS ONLY and WEEKENDS ONLY FURNITURE OUTLET trademarks. In so doing, states Plaintiff, Defendants have committed trademark infringement under federal and state law, unfair competition under the state law of Indiana, false designation of origin, injury to business reputation and/or trademarks, common law unfair competition. • Count III: Unfair and Deceptive Trade Practices in Violation of Indiana Code § 24-5-0.5-1 et seq. Plaintiff asks the court for injunctive relief and damages. The case was assigned to Judge Theresa Springmann and Magistrate Judge Susan L. Collins in the Northern District of Indiana and assigned Case No. 1:15-cv-00156-TLS-SLC.